1st Place at Repco Pro Tour Rnd 1! 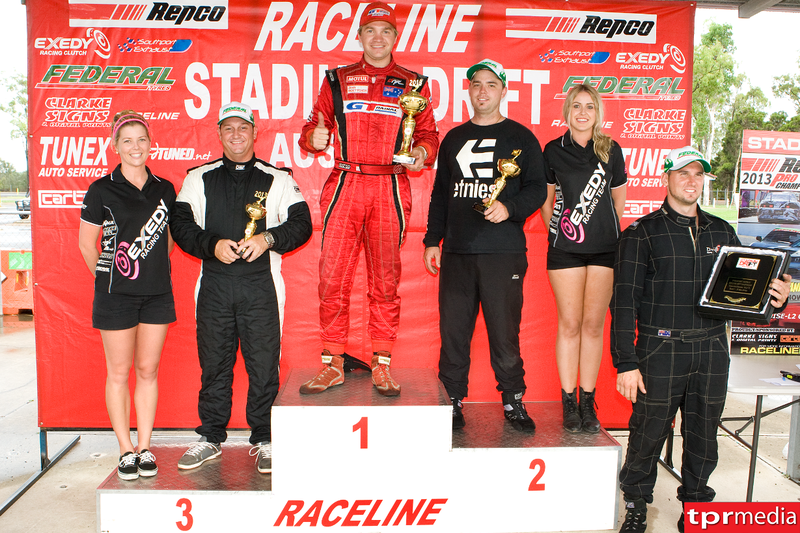 Home » 1st Place at Repco Pro Tour Rnd 1! 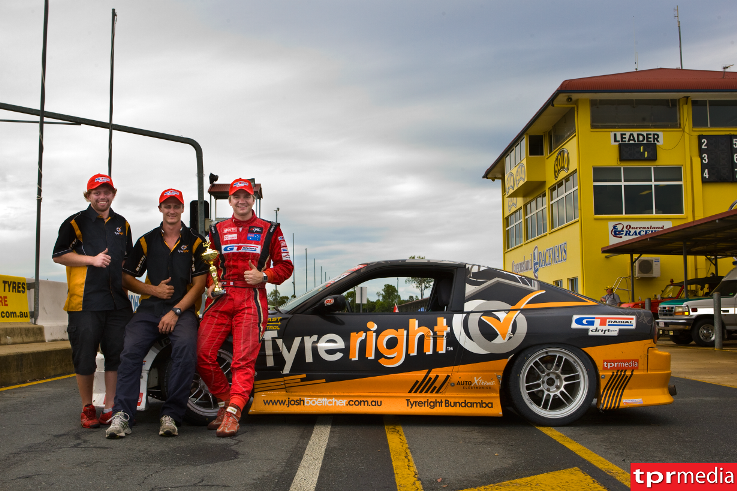 Last weekend saw our team head to our local track, QLD Raceway for the first round of the Repco Pro Tour Championship. We arrived nice and early and it was looking like an interseting day already, the sun was just peaking through the overcast clouds and it didn’t look like it was going to stay dry for long. 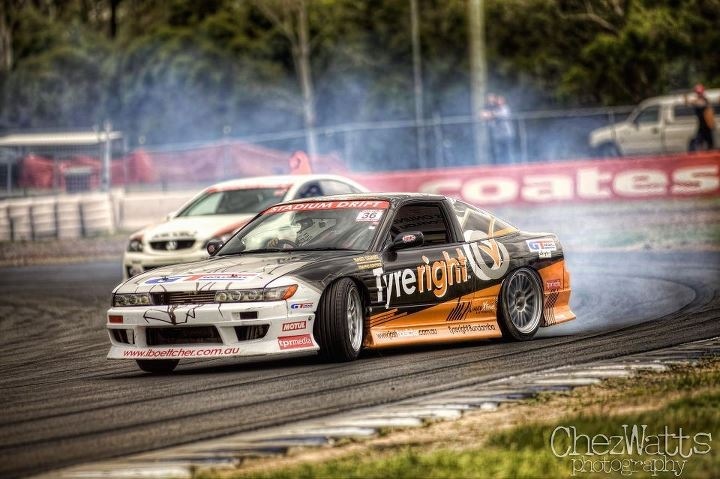 We setup the Tyreright Sil80 and took to the track for practise. 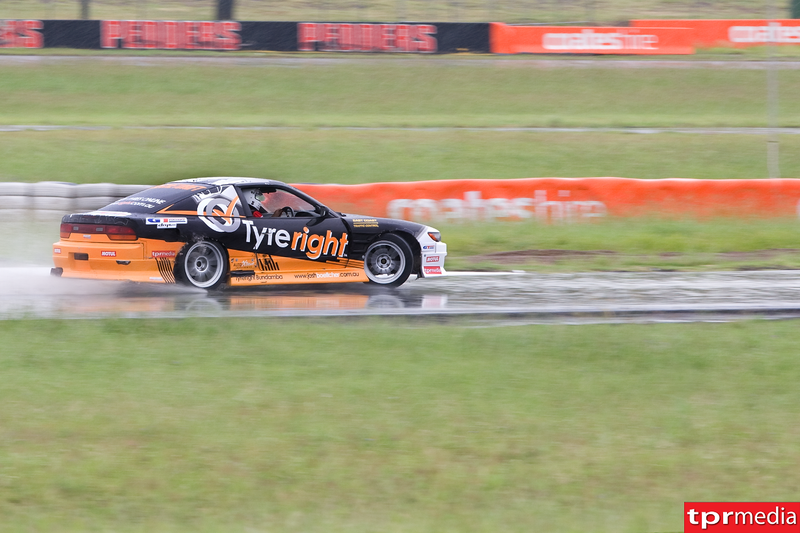 The car was feeling good on the GT Radial HPYs with plenty of speed in the dry conditions. 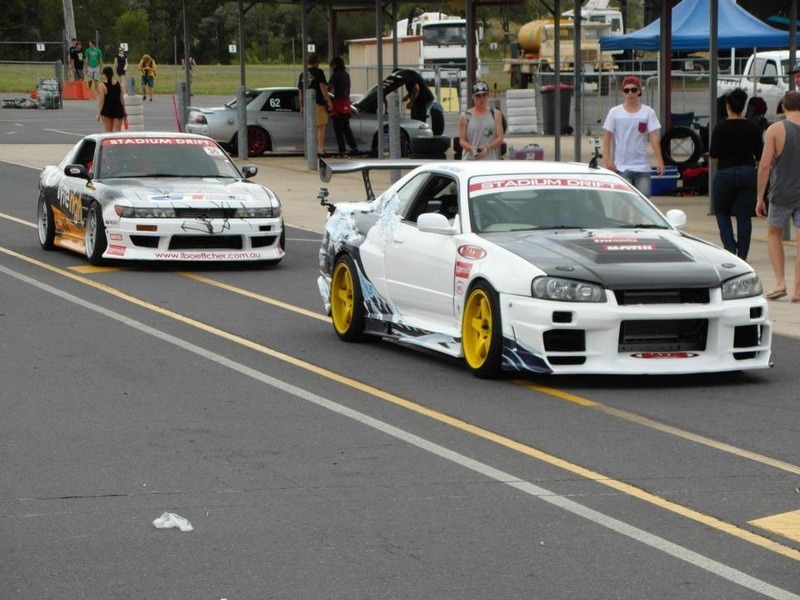 With a few new, big power V8 cars to compete against, we were making sure the car was setup as fast as possible to compensate for the power difference of our 2.0L 4 cylinder. After a few runs we made a small adjustment to the MCA Suspension coilovers and we were ready for battle. The first battle of the heats went well and we were feeling confident with the speed of the car. 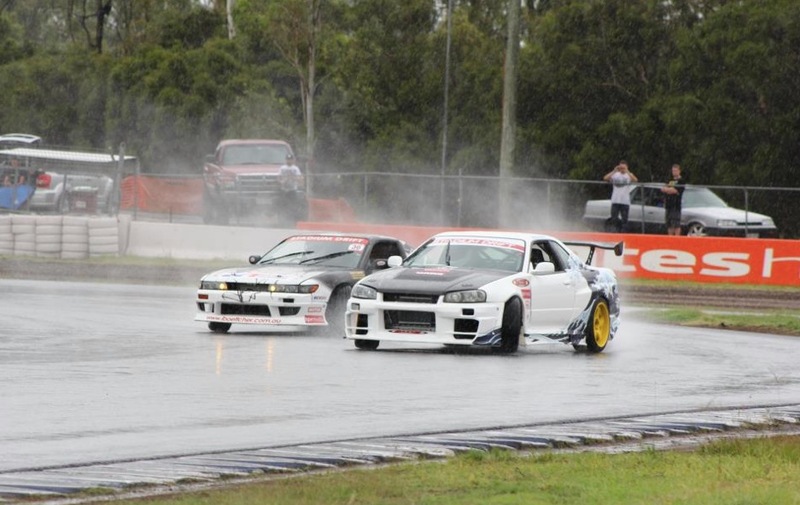 As the second battle started it had just begun to drizzle and I wasn’t too sure of the track conditions. So I took off quickly, but threw the car in to the corner with some caution. Unfortunately the chase driver, Trent Wooley, came in a bit too hot behind me trying to make up the early gap, hit my back quarter and knocked me off course and ended up spinning as well. As I had made no mistake, the incident was deemed Trent’s fault. I finished off the run then pulled back into the pits to pull the guard away from the rear tyre as it was rubbing. The team sorted it out in no time and we were back out and ready for the second run which went well. And after the first 2 heats we were in 2nd place! 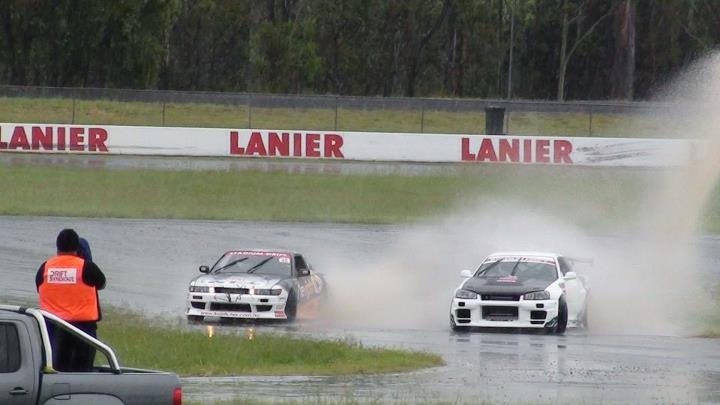 Before we went back out for heats 3 and 4, it started to rain properly! 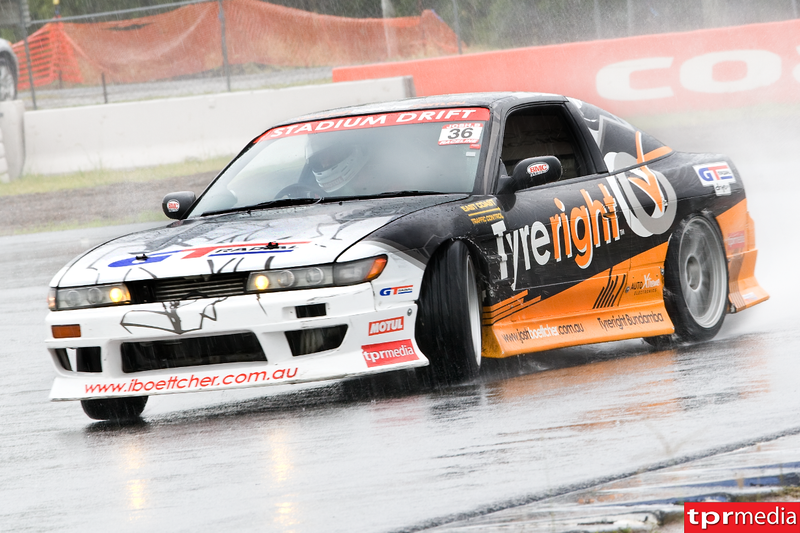 I enjoy the extra challenge of the wet conditions, so we again adjusted the MCA Suspension to suit, put some new GT Radial HPYs on with a slightly adjusted pressures and headed out. 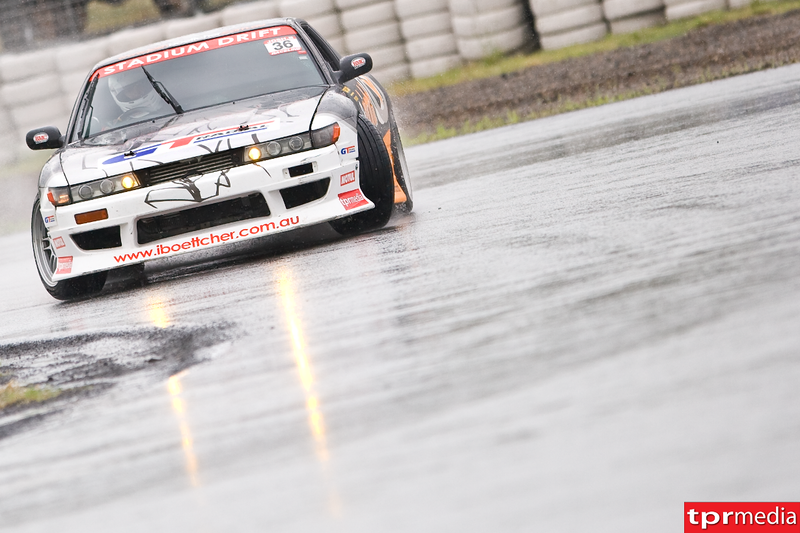 The car felt great in the slippery conditions and we certainly had plenty of speed and control. While some of the other drivers struggled with the conditions I was able to keep control and put down some really clean runs. After the heats were done, the points were tallied up and I had qualified 1st for the finals! My first opponent in the top 8 would be the winner of the B main final, so we watched that closely and found out we would be up against Andrew Parassis. Before the finals it had stopped raining, but not long before we headed back out the rain started coming down again! I was happy to see it, and we headed out for the battles feeling confident. We took on Andrew in the top 8 and were able to knock him out. He did very well to put up a good fight with the car dramas he was fighting at the time. 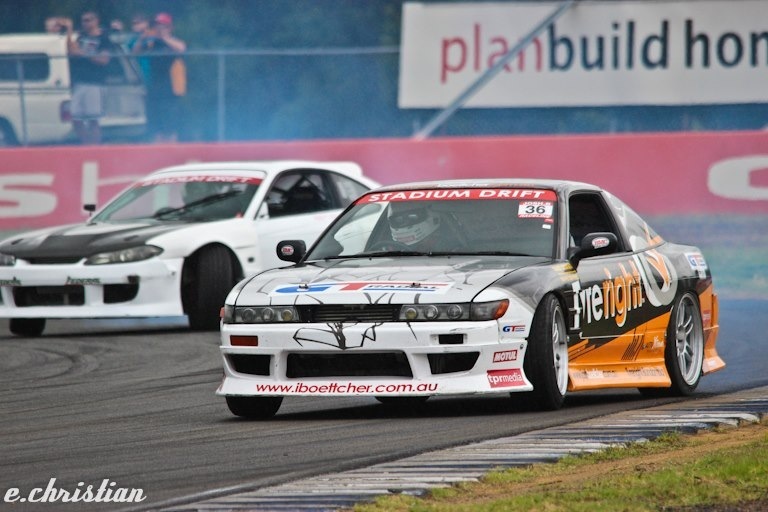 Next up was good friend Kris Frome, him and his V8 R34 Skyline were loving the tricky conditions and I knew I’d have to stay close on the chase to make it through, as he didn’t seem to be making any mistakes. I was able to pull away on the lead lap and keep it close enough on the chase to earn the win and go through to the battle for 1st place! 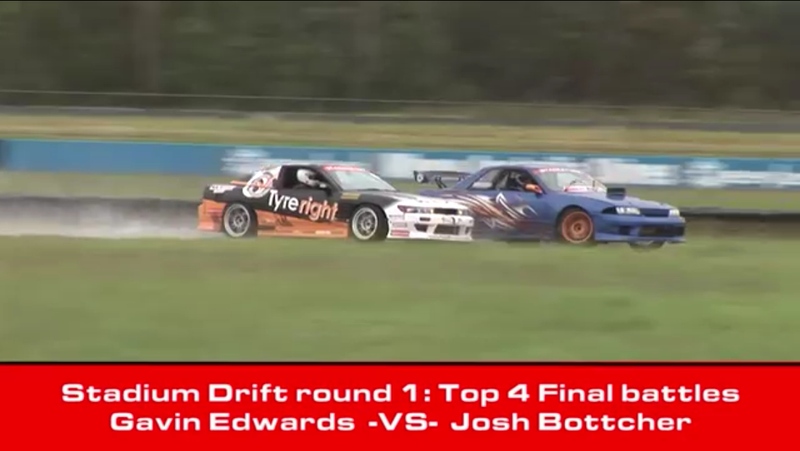 Our final battle was against Gavin Edwards in his V8 R32 Skyline, he had been the man I’d been watching all day who qualified second behind me and had looked fast in the wet conditions. On the lead lap I threw it in hard on the entry and felt I had heaps of angle, but I slipped a little wide in the increasingly wet conditions. I quickly tidied it up and held a small gap for the rest of the run. On the chase lap, I knew I had to get super close to take the win. When I threw it in right up beside him in the slippery conditions I thought there might be some contact so I had all four tyres locked up! But as we entered the corner I was able to gather up the front end and keep control and stay close for the rest of the slippery course. When we came back around to find out who had won, I wasn’t sure which way it would go, but then the call came through… we won!! 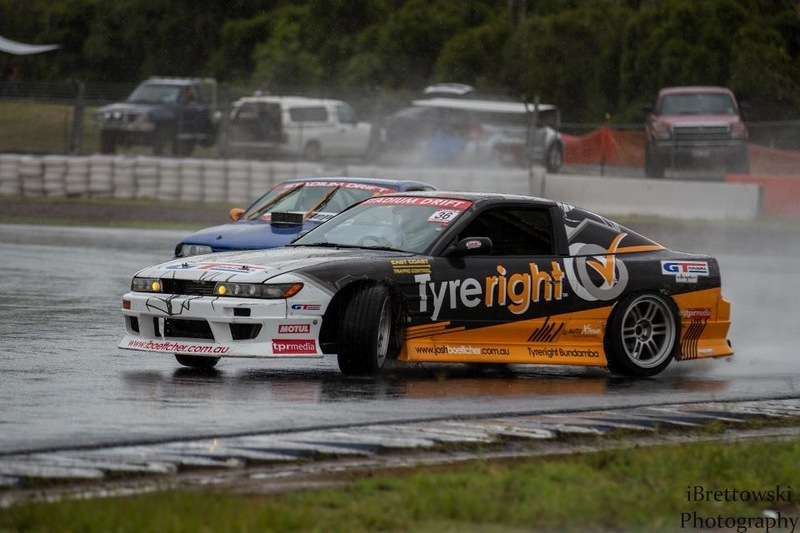 The GT Radial HPY tyres really made the job a lot easier as they stayed consistant through the changing conditions and we were able to get the power down on the slippery surface. The feel and speed of the MCA Suspension was a great help as well! With a very busy year ahead, we may not be able to make it to all of the rounds of the Repco Pro Tour Championship, but this is a great start to the year, and we will certainly be getting to as many rounds as we can. 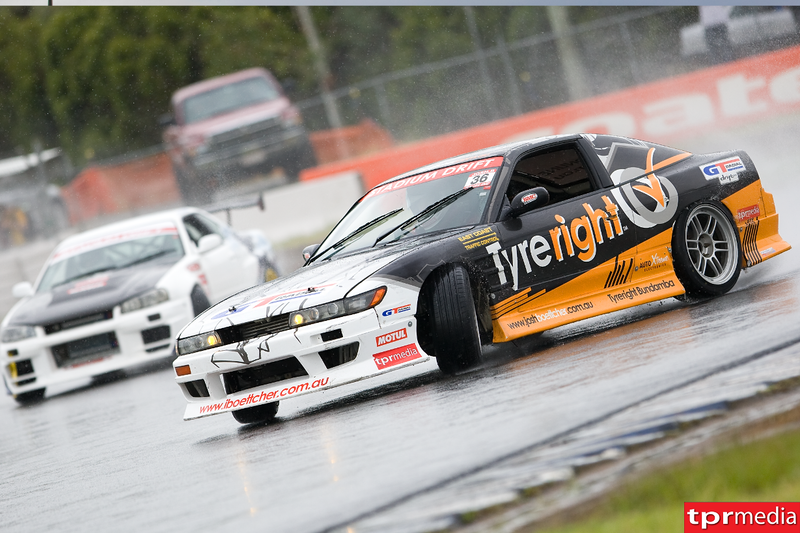 I’ll have some more exciting news soon so stay tuned and until next time, STAY SIDEWAYS!